September 17, 2014 By Tina M Leave a Comment This post may contain affiliate links. Read my disclosure policy here. I participated in an Ambassador Program on behalf of Mom Central Consulting for Pull–Ups Big Kid Academy. I received samples for this review and a promotional item to thank me for participating. For those of you that didn’t know, I just got back from a Potty Training Seminar last week, and it was held at the headquarters for Pull-Ups. It was so fun to meet with the brand reps for Pull-Ups, as well as the other bloggers that were there! 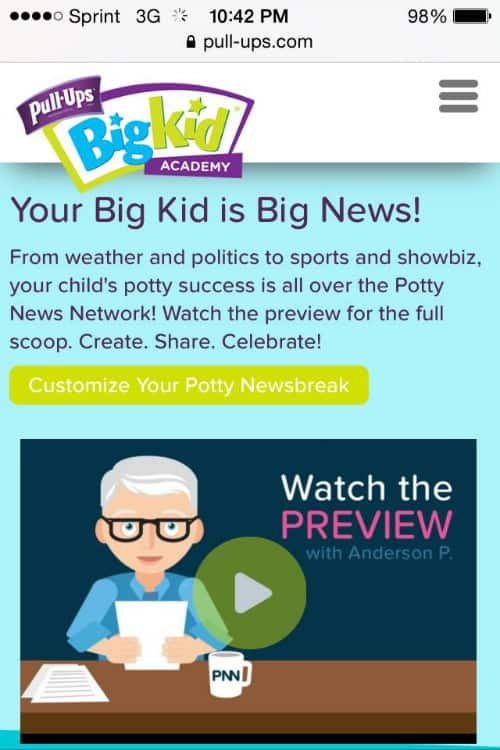 I came back a little more excited about potty training (especially after getting to explore the Big Kid Academy program). I think the #1 thing that I took away from the experience is that ALL KIDS POTTY TRAIN DIFFERENTLY. Because our kids have different personalities, they are each going to potty train differently, meaning there’s no right way. So when your neighbor asks “What’s your problem?? My super awesome kid potty trained in a weekend!” don’t be discouraged, and don’t even pay heed. Why? Because I learned that the MAJORITY of kids FAIL at the 3-day method. It doesn’t work for most kids because potty training is a big life change, and unless your toddler is super easy and goes with the flow for everything, it will most likely take some time and patience. The 2nd thing was that SETBACKS ARE TO BE EXPECTED. You should plan on them and not get too frustrated. I first started potty training my daughter about 6 months ago because she was showing interest. After a few days of trying, she lost interest. I didn’t panic and I didn’t try to push, we just moved on with life and I waited for her to show interest again. I learned that this is normal. My Next tip would be consistency. Kids aren’t quite used to knowing what it “Feels” like when you need to “go.” Parents are also busy and can forget to remind. 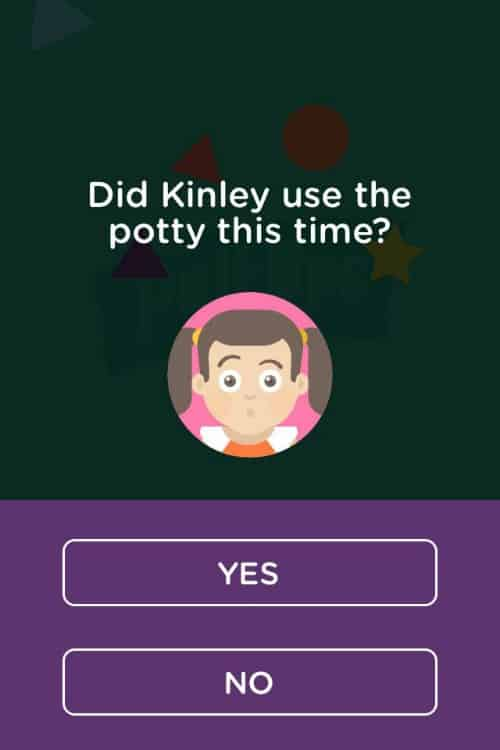 Something I would HIGHLY recommend is the TIME TO POTTY APP. It is AWESOME! It has reminders that go off all day to remind you and your kid to try going potty, and then it asks you if they went. There are fun games and activities your kid gets to play when they go in the potty, and the more they go, the more activities they unlock. I LOVE this because I’m not a fan of handing out candy all day. Make it fun. My last tip would be to Enroll your kid in the BIG KID ACADEMY. This makes the entire experience really fun for your kid my personalizing the experience, as well as giving all sorts of fun options for motivating success. Learn the Potty Dance! Make a fun celebration out of potty time with this fun dance routine. My girls love music and they love dancing, so this definitely appeals to me! 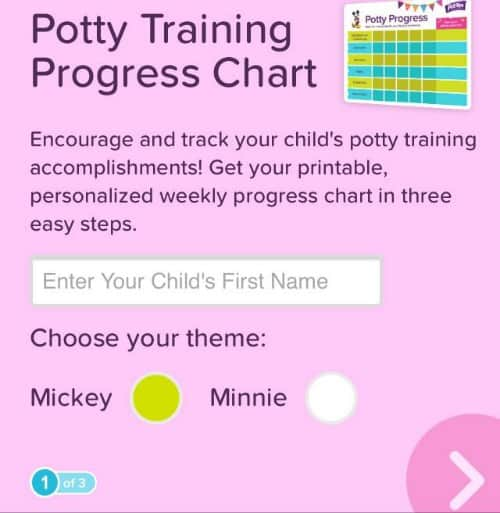 Customize a Potty Training Progress Chart. This chart is awesome! You get to customize the chart with your name, which goals you are working on (sitting on the potty, flushing, washing, etc. ), as well as how you will reward each of those goals. It’s bright and colorful and can be prettied up more with fun stickers if you’d like. News Break. This is pretty cute. You customize the details, and then watch the “news” celebrate your kid’s potty training success. Very creative. 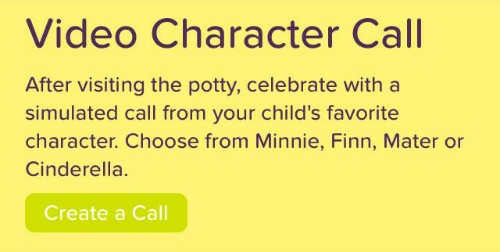 Get a call from a Character. Sometimes we are just boring as a parent. We can chant and hip hooray till we go sore in the throat, and it could maybe make a difference, but a call from your kid’s favorite character? Life changing. I could keep going, but you really should just check it out yourself! ***Pull-Ups also sent me home with some info for hosting a Big Kid Academy Playdate with other moms who are embarking on the potty training journey. I can’t wait to share it all with you in a couple of weeks!